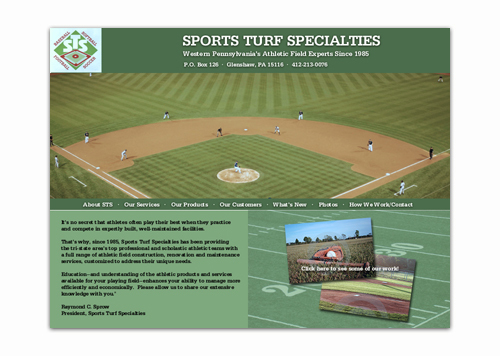 Sports Turf Specialties is western Pennsylvania's premier provider of athletic fields. They're experts in turf installation, management and troubleshooting. Several schools and PNC Park (where the Pirates play) are among their many clients. John created this web site for STS.